SANTA CLARA, Calif. (KGO) -- The arrest of San Francisco 49ers linebacker Reuben Foster for domestic violence on Sunday, February 11, 2018, makes him the 17th arrest of a Niner since 2012, which is the most of any NFL team since 2012. The Oakland Raiders have only had five arrests since 2012. Jan. 27, 2012: Aldon Smith was arrested for drunk driving in Miami Beach. He was sent to a diversion program and the charge was reduced to reckless driving. Feb. 8, 2012: Ray McDonald was pulled over in Sunnyvale and arrested for an outstanding warrant from a drunk driving case in 2010. Nov. 30, 2012: Demarcus Dobbs was arrested on suspicion of drunk driving and marijuana possession after crashing his car on his 25th birthday. Feb. 20, 2013: Al Netter was arrested and charged with drunk driving in San Jose. Sept. 20, 2013: Aldon Smith was arrested on suspicion of drunk driving and marijuana possession after crashing his pickup truck in San Jose. He pleaded no contest and was given three years probation and 235 hours of community service for this and other gun cases. Oct. 9 2013: Aldon Smith was charged with with three felony counts of illegal possession of an assault weapon stemming from a house party in June 2012 in which he was stabbed. He pleaded no contest and was sentenced to three years of probation and 235 hours of community service for this and a DUI case. Jan. 26, 2014: Daniel Kilgore was arrested for public intoxication, accused of being drunk in public in Kingsport, Tenn. The charge was dropped. March 28, 2014: Chris Culliver was arrested for felony hit-and-run after he hit a bicyclist with his vehicle and also possession of brass knuckles in San Jose. He allegedly threatened a witness with the brass knuckles. He pleaded guilty to two misdemeanors and was sentenced to 40 hours of community service, restitution, and a one NFL game suspension. March 13, 2014: Aldon Smith was arrested for disorderly conduct. He was accused of making a false bomb threat at the airport in Los Angeles after being selected for secondary screening. This was dropped by prosecutors. Aug. 30, 2014: Ray McDonald was arrested on suspicion of domestic violence against his pregnant fiancee, who showed police bruising on her body. This was dropped by prosecutors. March 5, 2015: Bruce Miller was arrested for suspected misdemeanor battery in a domestic incident in Santa Clara. He pleaded no contest to misdemeanor disturbing the peace and was sentenced to 16 weeks of counseling. Aug. 6, 2015: Aldon Smith was arrested for DUI and vandalism in Santa Clara after he allegedly hit a parked vehicle with his vehicle. He was released by the team the next day. Aug. 26, 2015: Ahmad Brooks was indicted for sexual battery. He was accused of misdemeanor sexual battery stemming from a December 2014 incident at the home of teammate Ray McDonald. Sept. 5, 2016: Bruce Miller was arrested and accused of assaulting a man and his 70-year-old father at a hotel in San Francisco. The team released him the same day. April 6, 2017: Tramaine Brock was arrested on a felony domestic violence charge in Santa Clara. He was released by the team the next day. Jan. 12, 2018: Reuben Foster was arrested for marijuana possession in Alabama. Feb. 11, 2018: Reuben Foster was arrested for domestic violence in Los Gatos. March 6, 2018: Aldon Smith was arrested on charges of willful infliction of corporal injury, assault with force likely to produce great bodily injury, false imprisonment and vandalism. March 23, 2018: Aldon Smith was arrested for violating a court order to stay away from a woman who said he assaulted her. April 6, 2018: Aldon Smith was for violating a condition of his electronic monitoring while on bail. 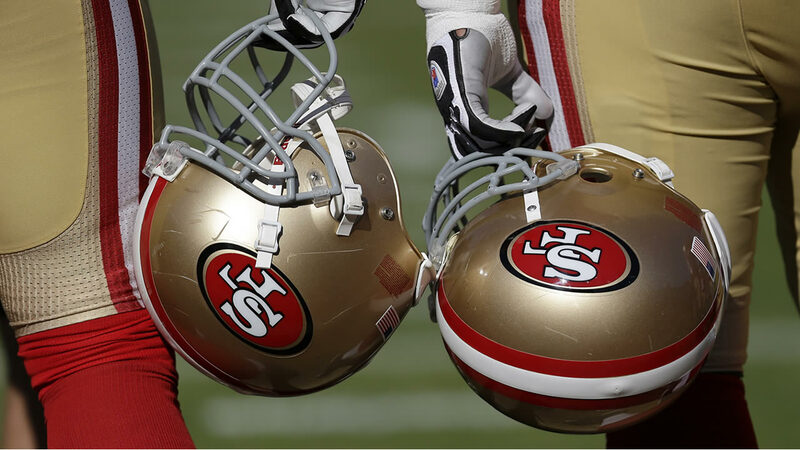 Click here for full coverage on the San Francisco 49ers.